The height from the fixing point to the base of the cardinal points is 530cm. The material thickness of the letter arms is 12mm solid square bar with a barley twist, and the letters are10cm tall by 6mm thick steel. The fixing is by a L shaped bracket with the vertical 20mm bar standing from the wall by 8cm. Holes are drilled in the fixing plate for M10 coach screws (screws and plugs are included). The weathervanes are painted in a coat of black primer, and finished in a high quality, weatherproof, professional black gloss. 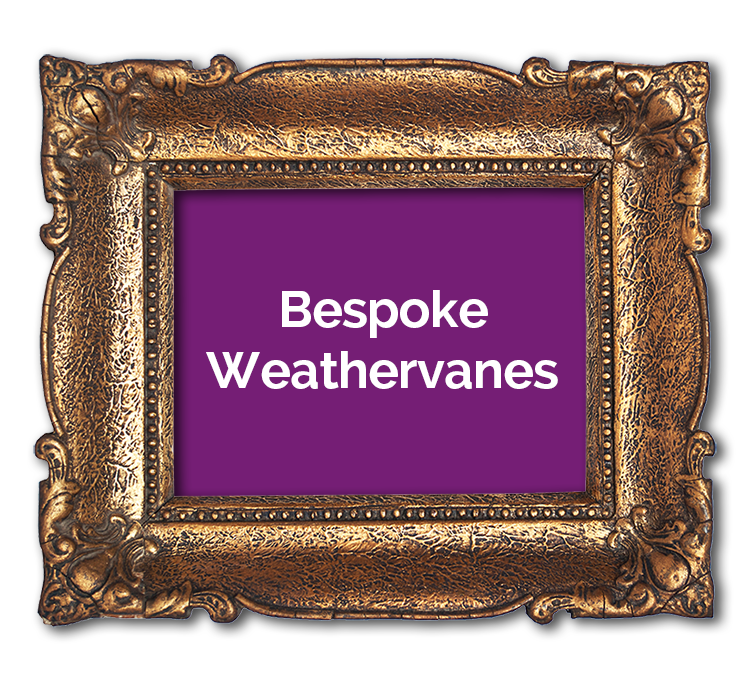 All our weathervanes are fully welded and come to you ready to install, not flat packed. 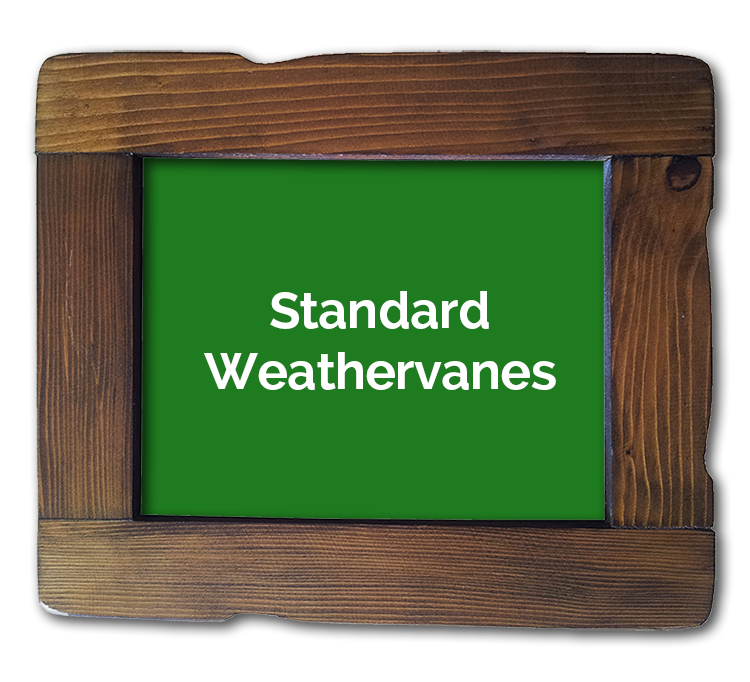 The weathervanes and prices on this site are all the above standard sizes. If you wish to have a smaller or larger vane, or require modification to the fixings please do not hesitate to contact us. 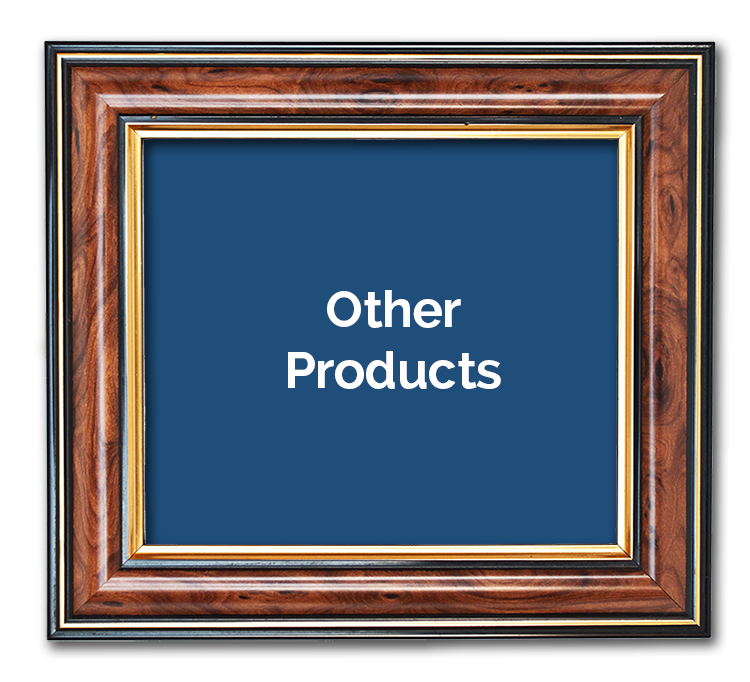 We have now added our popular bird feeders and garden stakes to the “other products” section. Garden stakes can be ordered with a small version of any of the weathervane motifs. Click on the links above to order direct online.